Cádiz, regarded by many as the oldest continuously inhabited city in Western Europe, with archaeological remains dating to 3100 years was founded by the Phoenicians. It is just a 30 minute drive away from Casa Isa Elena by car. You can drive right into the Old Town and there is a good underground car park beneath the botanical gardens (see the google map below). Cádiz old city is a fairly compact area and can comfortably be covered on foot. 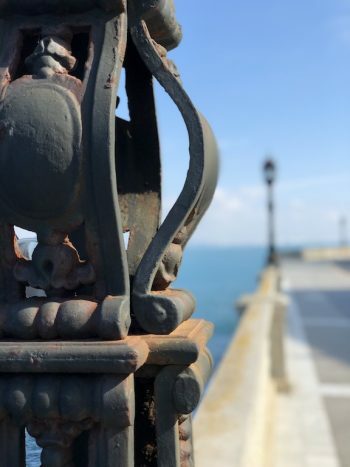 If you enjoy photography, Cádiz offers many opportunities for great shots with wonderful light and a beautiful blue sky backdrop most days. If you’re visiting in February/March, don’t miss the Carnival of Cádiz, a unique festival involving the whole city. Recommendations for visiting Cádiz from Simon Calder writing in the Independent. Castle of San Marcos – Guided tours are offered of this sizable medieval castle featuring a wine cellar with tastings. Castle of San Sebastian – Former island fortress now a destination for historical exhibits, concerts & other cultural events, connected to the city by a causeway. Cádiz Central Market – Great place to visit on Saturdays or festival days. Shop, eat or just have a drink and watch the throng of people! Cádiz Cathedral – Built over 116 years from 1722 with money from the trade between Spain and America. Seville is the capital and largest city of the autonomous community of Andalusia and the province of Seville, Spain. A little further afield, it is a 1 hour and 30 minute drive away from Casa Isa Elena by car. Real Alcázar – a palace that evolved according to the needs of the many rulers of it’s 11 centuries of history. The architecture is magnificent and the water feature-filled gardens a wonderful retreat from the heat and energy of the city. Catedral and Giralda – Catholic Cathedral built over the remains of an earlier mosque. The Giralda is definitely worth the climb. 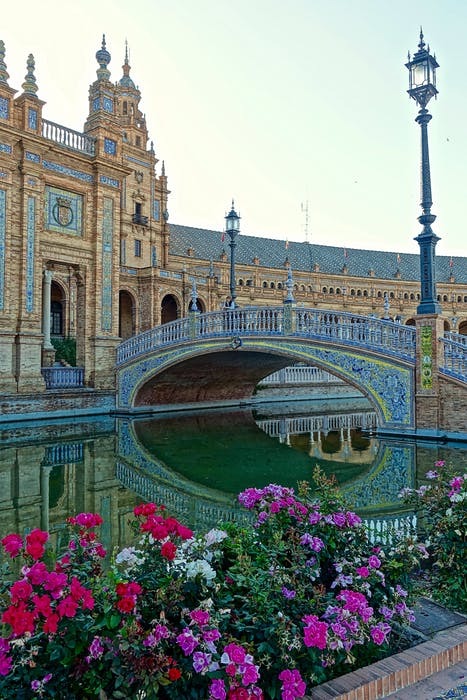 Maria Luisa Park and Plaza de España – Seville’s largest public park stretching along the banks of the Guadalquivir River. 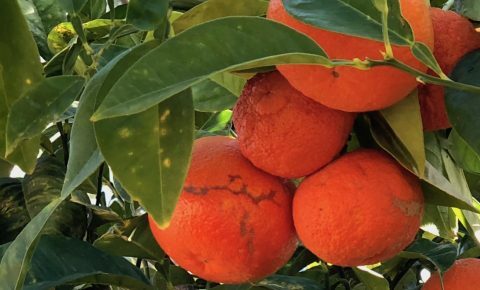 Seville is about 1 hour and 30 minutes away by car along excellent motorways.